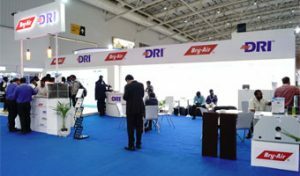 The flagship companies of Pahwa Group, Bry-Air and DRI showcased its End-to-End Solutions in Air Treatment at ACREX India 2018 in Bengaluru. Over 1000 visitors visited the booth. The Pahwa Group team had organized technical presentation sessions for the booth visitors and study tours for HVAC students. The three day event, ACREX India 2018, held on 22th Feb – 24th Feb’2018 at BIEC, Bengaluru. The event saw participation of officials from residential & commercial buildings, railways & airports, hospitality, healthcare, cold storage & transportation, data centres and many more. 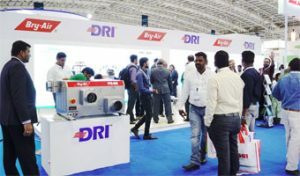 The event was organized by the Indian Society for Heating, Refrigeration and Air Conditioning Engineers (ISHRAE) and managed by NuernbergMesse India.